There are a million ways to wrap up in a scarf, but I just happened upon eight I really like in this graphic above, courtesy of Wit & Delight. 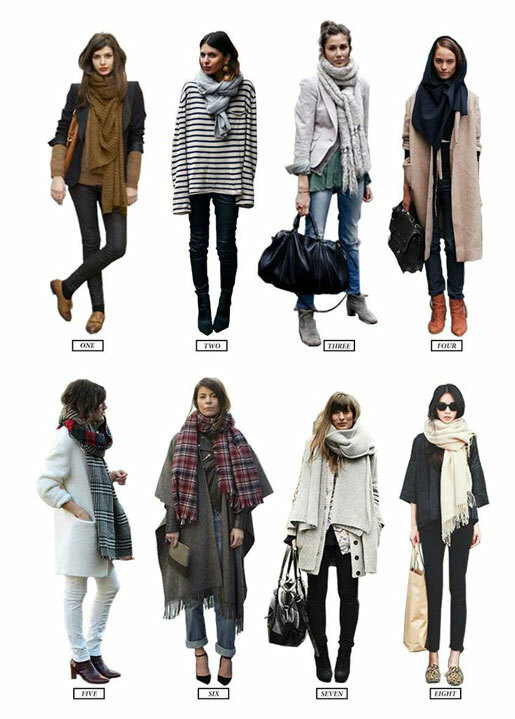 An extra big scarf is clearly the surefire ticket, and solids and classic checks work equally well. I'd like to bundle up in these scarves by Isabel Marant, J.Crew, Asos, Paula Bianco, Tory Burch and Gucci. yes, give me ALL those scarves!!! love every one. thanks for sharing. I'm a scarf addict! Love all these looks! My Mom made me one like the Paula Bianco , it's so warm and chic.